Unless you haven’t looked out the window or spoken to Drake recently, you’re probably aware that battle royale mania is sweeping the nation. Jeff Kaplan, director of Overwatch, certainly is. He’s seen the requests for a battle royale mode in his own game, and he’d love to make it happen. It is, however, a taller order than you might expect. Just a year after PlayerUnknown’s Battlegrounds took over the world, games like Fortnite, Dying Light, and Crytek’s Warface (which still exists) have added chicken dinner bloodbaths of their own. PUBG didn’t invent the formula of dropping 100 people into an arena and granting victory to the last one standing, but it did make battle royales wildly popular throughout 2017. Fortnite’s spin on the mode, according to Epic, took just two months to create. This has led people to look at Overwatch and ask, more or less, how hard could it be? Hard, as it turns out. 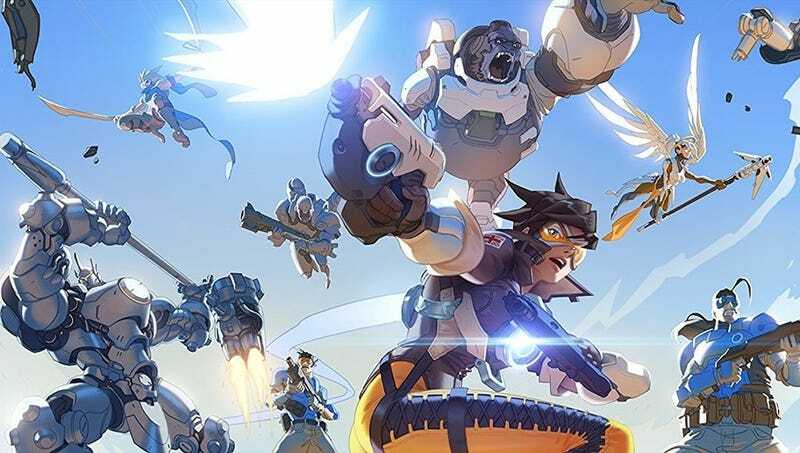 During an interview today, Kaplan told me that he and the Overwatch team have actively considered adding a battle royale mode, but Overwatch is a very specific kind of game, and sloppily grafting battle royale onto it could result in a nasty rejection. Kaplan explained that he and his team—all PUBG addicts—have spent many early morning team boba tea runs talking through exactly how to implement a battle royale mode, and at this point, they’ve identified the biggest stumbling blocks. Even if everybody was forced to pick from a handful of heroes, though, there’d still be the issue of space. Despite how some of them might feel, Overwatch’s maps are actually very small, especially compared to PUBG and Fortnite’s rolling vistas. So battle royale is something Kaplan wants to do, given that PUBG has consumed “hundreds of hours” of his time, but probably don’t expect Overwatch to follow in Fortnite’s footsteps any time in the near future. “Building those systems and getting that many players—I think battle royale for Overwatch starts to get into new game territory,” he said.